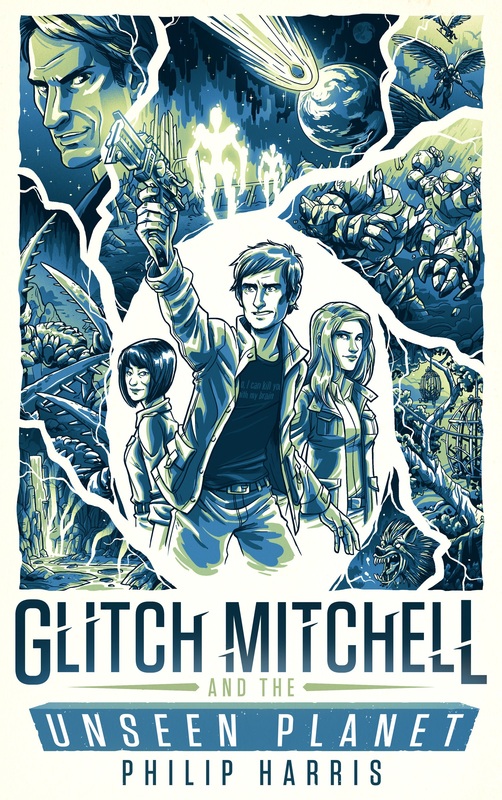 The exact release date for my science fiction novel, Glitch Mitchell and the Unseen Planet is still undecided for now, but I figured it was time to unveil the cover anyway. Glitch started as a serial destined for the website but I enjoyed writing the project so much that it grew into a full length project. 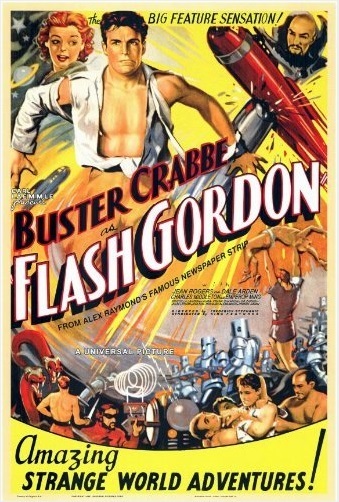 The novel my homage to the old Flash Gordon serials (I’m doing a rewatch of the 1936 Buster Crabbe series at the moment) so when it came to the cover, I really wanted to evoke the old Flash Gordon movie posters. About the time I was looking around for a cover artist, Hugh Howey mentioned the artist he’d started using, M.S. Corley. I really liked the look of his covers and ended up commissioning a custom cover for the Glitch. I’m really happy with how it turned out so, without further ado, here’s the cover for Glitch Mitchell and the Unseen Planet. A huge amount of work went into the image and it fits the action packed nature of the book perfectly. So, a massive thank you to Mike for creating such an amazing cover. The book itself is finished and edited and is now sitting with the first of several proofreaders. Once the proofreading process is done the manuscript will be sent to the formatters who’ll create both print and ebook editions. No definite timeline for all of that, but I’m hoping for a release sometime before the end of September, depending on everyone’s availability. If you’d like to get a copy of Glitch free then, for a limited time, I’m giving everyone who signs up to my mailing list a copy of the book when it’s released. And I’ll send you four other ebooks to keep you occupied while you wait for Glitch. Click here to sign up and get your free books.